Australia’s indie and grassroots game makers chat in an open format. 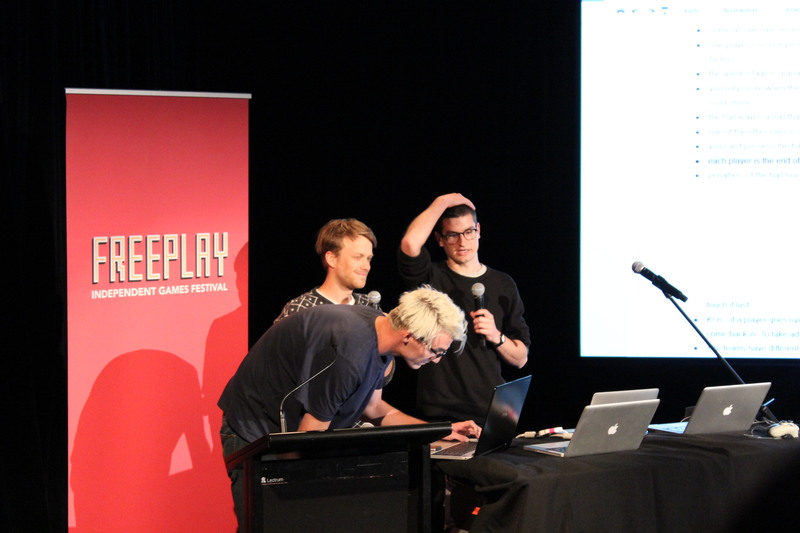 Challenge yourself and encounter new ideas at Freeplay’s Sunday morning sessions, an open, free, and welcoming event for Australia’s independent and grassroots game makers. With topics and an agenda set by our audience and speakers, the Sunday morning sessions is an attempt to let Australia’s game makers take control and amplify marginalised voices. As an unconference-style event, the Sunday morning sessions will be relaxed yet challenging, with a variety of local speakers sharing creative strategies, questioning the status quo, and discovering new ideas. Register your interest in running a session ahead of time by completing this form. Please also be aware of and read our code of conduct and safe spaces policy.